Two second half goals from Millwall sent Birmingham City back to the Midlands empty handed as Ryan Tunnicliffe’s winner helped Millwall gain a valuable three points at the New Den. 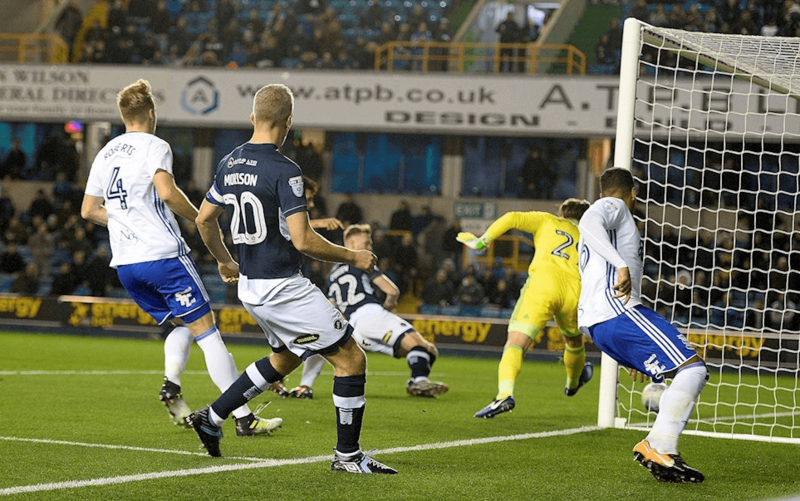 Birmingham without Harry Redknapp but now with new manager Steve Cotterill saw Cotterill experience his first defeat as the Birmingham manager as Millwall put up a stout display to propel them slightly further away from the danger zone. It wasn’t breathtaking, it wasn’t exhilarating but it was a hard earned win following a workmanlike performance from the Londoners. Birmingham City can count themselves slightly unfortunate when Blues defender Maxime Colin turned Steve Morison’s cross into the back of his own net two minutes after the half time break before Ryan Tunnicliffe notched the second for the home team on the rebound after Tomasz Kuszczak shut out Tom Elliott’s effort. Birmingham City have taken only one point from their seven away games this season. They remain 4th from bottom of the table only 1 point above Burton in the relegation places. They need more impetus, a better strike force and a stable defence and they don’t have any of those attributes at the current time. Millwall on the other hand needed this win and moved up to 15th after responding to successive league defeats with their fourth Championship win of the season. The stats don’t really show how the game went for once with both teams enjoying 50% of the possession each and yet Millwall seemed to do more with the ball and were more creative following a couple of agricultural displays earlier in the month, i.e. boot it up to the main striker and see if he can do anything with it. Millwall it has to be said are not looking assured but they provided a bit of spark that city were unable to match and a little bit of self confidence would have helped a treat for the next few games if they can keep themselves around the mid table positions. There were a total of 30 shots in the game but it wasn’t that good a match but Millwall’s resilience paid off and despite it being a stop and start bitty game (28 fouls from the 2 teams in total they man handled themselves over the line for victory. Millwall only had three of those shots on target while the visitors only managed four on target. Millwall won the corner count 6-3 but seemed devoid of intent with each one. This was Millwall’s fourth league victory of the season and they needed it because as a team they don’t travel well. All four of those victories were at The Den. It was a funny first half with both teams running their socks off but getting nowhere with any efforts few and far between. If the first half were a school report it would have been 8 out of 10 for effort and 3 out of 10 for achievement. Lee Gregory spun on a Morison knockdown to strike his shot wide while the Lions skipper produced a left-footed strike which narrowly cleared the crossbar. Then O’Brien flicked over the top after Jake Cooper had headed George Saville’s diagonal free kick into the danger area but it wasn’t all one way traffic as Birmingham did have a good chance just before the break. Isaac Vassell burst into the penalty area, sped past a sliding Cooper and fired a low effort just past Jordan Archer’s far post. 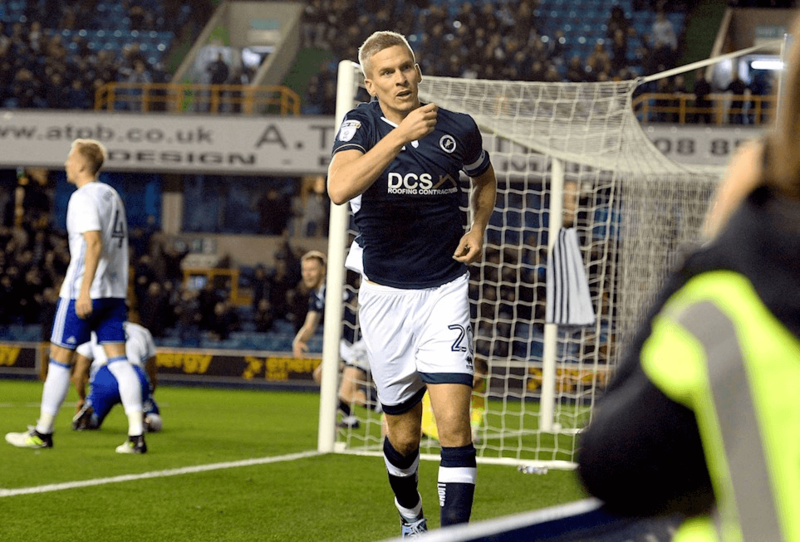 Nil – nil at the break and just about right too so it was a surprise when Millwall took the lead only 90 seconds into the second half as the clever Morison setting up Millwall’s first goal. The striker nicked the ball past Michael Morrison and his low cross was turned into his own net by Maxime Colin. City woke up and in the Millwall goal Jordan Archer needed to make a stop to deny Che Adams before Birmingham themselves needed their man Tomasz Kuszczak to stop them going further behind, producing a one handed save from the superb Morison’s angled shot in the 73rd minute. Cotterill’s managerial reign for Birmingham began with a home win over high flying Cardiff City eight days previously but it was to end in his second game in charge as Ryan Tunnicliffe’s first goal for Millwall since his summer move confirmed a deserved victory. Substitute Elliott had an immediate impact on the game as his run and cut inside saw him unleash a shot which Kuszczak could only push back out to the lurking Tunnicliffe, who kept his composure to find the back of the net. If you fancy a bet on the Lions follow them here.